Each lower elementary class consists of up to eight students with a teacher and an assistant. Each class focuses on providing an academic curriculum that challenges learners while also being sensitive to their unique needs. There is also emphasis on teaching social skills, independence and effective communication strategies. Core classes are taught by the classroom teacher, assisted by the teacher assistant. Ancillary classes provide opportunities to explore new areas of knowledge. The curriculum for lower elementary is aligned with the Texas Essential Knowledge and Skills (TEKS). Curriculum textbooks and resources include McGraw Hill for Language Arts, McMillian and Houghton Mifflin Harcourt for Mathematics instruction. The core curriculum is supplemented by other commercial resources, as well as teacher designed activities. Instruction is aligned to facilitate progression from one level to the next. 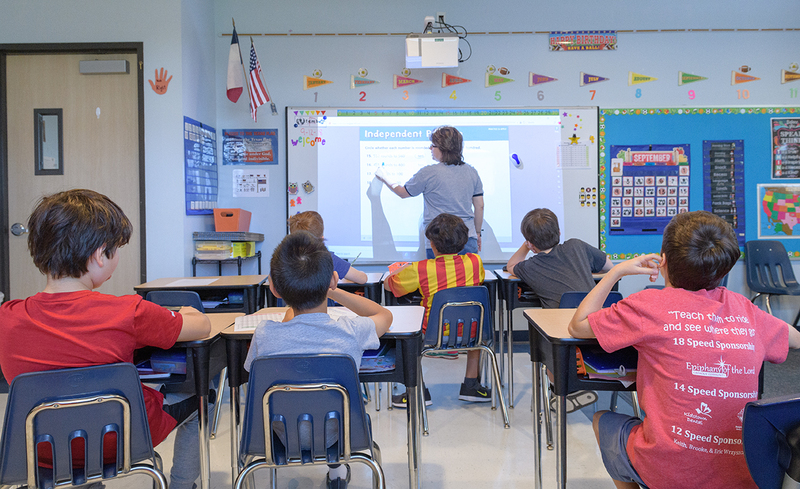 Technology is utilized in the classrooms to enhance instruction by using interactive whiteboards in each classroom. 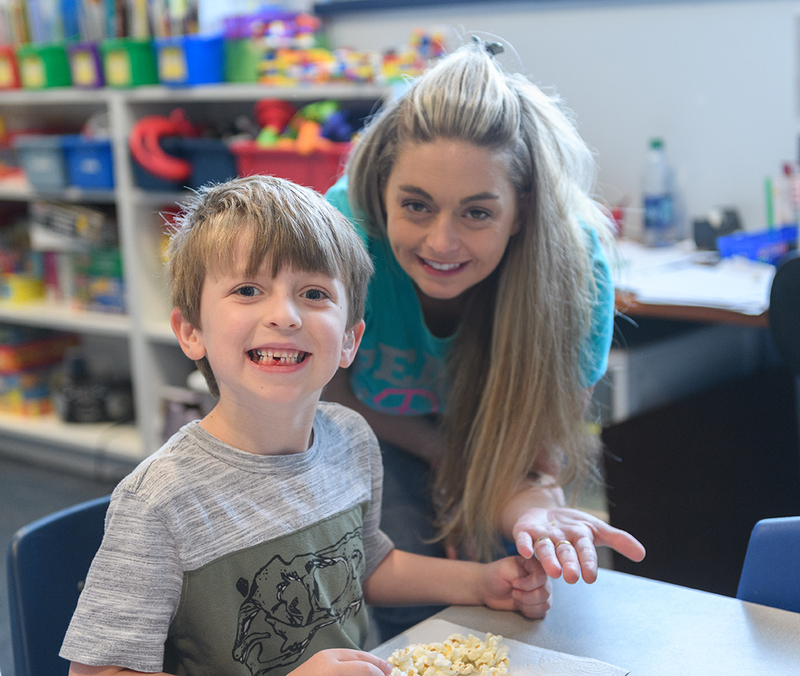 In addition to providing visual representations of the lesson, various programs such as Brain Pops, Go Noddle and Class Do-Jo provide sensory activities, motor skills activities and aid in classroom management. Throughout the day students are encouraged and guided in appropriate interactions with their peers and other adults to enhance social skills and facilitate functional language acquisition. In addition to the teacher guided instruction, students work in small groups, in pairs and often combine with other elementary classes to build relationships, social and communication skills. Individual attention is given to each student with a goal of helping the child reach his/her potential. Building self-esteem and appropriate social behaviors are an important part of the curriculum. Each upper elementary class consists of up to eight students with a teacher and an assistant. The classes focus on providing an academic curriculum that challenges learners while also being sensitive to their unique needs. There is also a focus on teaching social skills, independence and effective communication strategies. Core classes are taught by the classroom teacher. Ancillary classes provide opportunities to explore new areas of knowledge. The curriculum is aligned to facilitate progression from one level to the next. Technology is utilized in the computer lab and in the classrooms with MimioTeach interactive whiteboards installed in each classroom. Special care has been taken to provide the students with typical school experiences. Students at this level have lunch in a small cafeteria style setting. They receive lunches from Simply Fresh Kitchen or bring lunches from home and may heat or prepare food as needed. Upper elementary students participate in many exciting activities such as Student Council, Boy Scouts, Girl Scouts, Basketball Club, Soccer Club, Robotics Club, Drama Club, lock-ins and the three-day trip to Camp for All. A variety of field trip experiences include such things as local plays, restaurants, bowling, and other experiences that enhance social and cultural education.